After good performances against Corinthians and Inter, Palmeiras frustrated supporters by playing very badly yesterday against Figueriense, losing 2-1. With six rounds in the Brasileirão, Palmeiras occupy 15th place with meagre six points after one victory and three draws. Three tough opponents await in the coming weeks: Fluminense home, Grêmio away and São Paulo home. Calls for coach Oswaldo de Oliveira’s dismissal are becoming louder by the day. In Brazilian football, the one thing that counts – and from day one – is results. Results, as in point won. Not as in improvements, development, performance. If the points are not won, dismissal is the modus operandi. This morning, Coritiba coach Marquinhos Santos bit the dust. That’s the sixth coach down in six rounds. Do not try to apply logic. Recently at Palmeiras, several of those considered “the best” have been in command: Luxemburgo, Muricy Ramalho, Luis Felipe Scolari. Felipão did give us a Brazil Cup title, but he also relegated us. Clearly, getting a star coach is no guarantee. Who was Marcelo Oliveira before winning the Brazilian championship twice with Cruzeiro 2013-2014? Oswaldo de Oliveira is serious, methodological, hardworking, calm, confident. He enjoys the respect of the squad. His price tag is reasonable. Is Oswaldo worse than the 14 other coaches currently ahead of him in the tables? Not likely. He is actually considered one of the better. Or was considered. There is consensus on one thing only: the way coaches’ heads roll in Brazil is insane. Question is, is anyone ready to act differently when pressured? It takes courage to break the paradigm. To stand ground, not give in to protests from supporters and the constant negative publicity. To give a coach enough time to truly implement – or not – a philosophy, tactical patterns and variations. Adjustments to the Palmeiras squad are still being made. There is money in the bank. 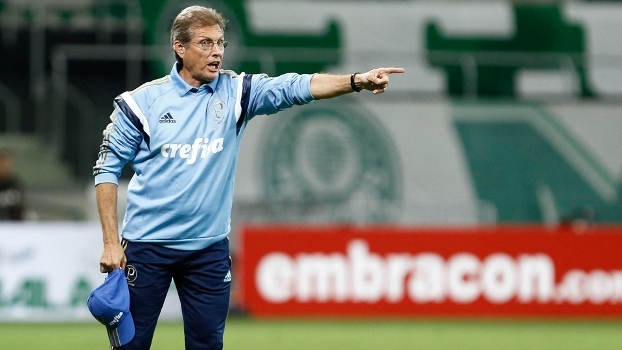 If given more time and a few key players, Oswaldo have every opportunity to do decent work at Palmeiras. Will they let him? Rumours have it he will not last the week. In that case, expect Cuca or Marcelo to take over. And Palmeiras to slip into ordinary. Just as the lot. 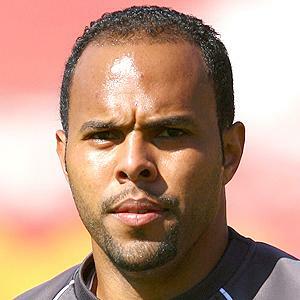 Today or tomorrow, Palmeiras are expected to announce veteran striker Alecsandro from Flamengo. The 34-year-old is very dangerous inside the box, not least with his head, which is a characteristic currently lacking in the Palmeiras squad. Contract until the end of 2016, probably. Good move by Mattos. In a reverse flow, right-back Ayrton and midfielder Alan Patrick could be leaving Palmeiras for Flamengo. Excellent, if confirmed. Two other less availed players have been shipped to Oeste: right-back Welder and forward Rodolfo. Then there’s Dudu, who is back playing while awaiting a new trail (remember that shove to the back of the referee a few weeks ago?) The second trail was actually set for today but was postponed, until further notice, upon request from Palmeiras. “Recentemente, em Palmeiras, vários daqueles considerados “o melhor” estiveram no comando: Luxemburgo, Muricy Ramalho, Luis Felipe Scolari.” Esqueceu um ponto um tanto quanto importante, quem eles tinham a disposição? Mazinho? Betinho? Josimar? Talvez Muricy tenham sido um fracasso, porém no meio do campeonato o time não tinha mais reposições no elenco, diferente de hoje. Pelo plantel que o Palmeiras possui hoje em dia é impossível fazer algumas comparações e ainda mais inadmissível perder para times que ao fim do campeonato muito provavelmente estarão em baixo na tabela. Infinity, escuto muita gente falando que nosso elenco atual não serve, que é uma porcaria. Então, como ficamos? E outra: os elencos anteriores podem ter sido piores no papel, mas, pelo menos, estavam razoavelmente entrosados. Nós temos 22 jogadores novos. E o elenco sofreu com baixas no DM. Acredito que estamos subestimando o desafio que Oswaldo está enfrentando. Abs.